Another one of the “rumors have been flying” stories… that I was getting ready to post about this weekend anyway, but I finally found a nugget of corroborating evidence! 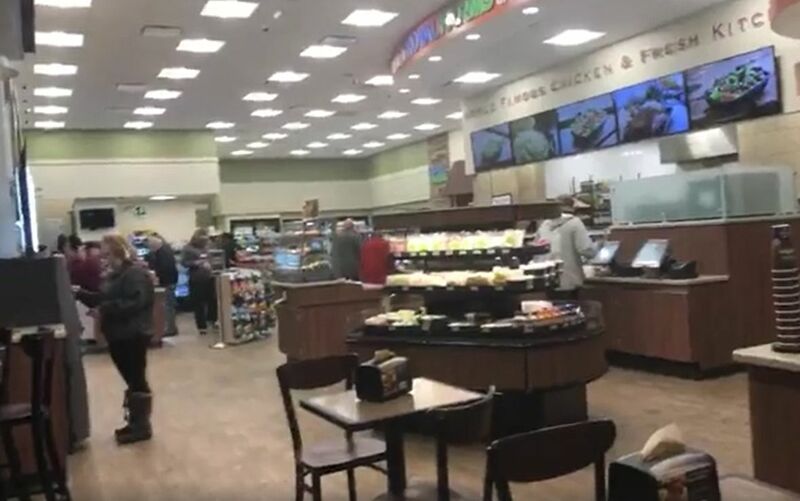 Royal Farms is planning on putting one of its Super convenience/gas stations along Blackwood-Clementon Road in Gloucester Township. The address (1409) puts the location right in the Commerce Square shopping center which was the location for the Superfresh Supermarket… which was recently torn down. 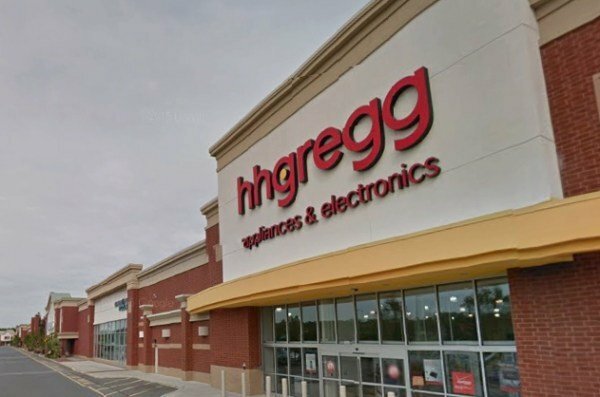 So the targeted address is known, but can only assume the supermarket was demolished to make room for the Royal Farms store in that area of the shopping center’s lot. The confirming evidence I found? Well just yesterday the Gloucester Township MUA meeting notes were posted for the 4/20/2017 meeting, and listed in the doc was a reference to the Royal Farms at 1409 Blackwood-Clementon Road. So this doesn’t mean its 100% happening. There has been nothing official stated by the town or Royal Farms, so there is some chance this doesn’t happen. I have more thoughts and comments on the Super Convenience store wars… hopefully will post soon. What do you think about a video? 42Freeway was the first to break this story (as far is I know). If you choose to post about it in your blog or media outlet please mention this site or link to this story (or FB). Thank you! 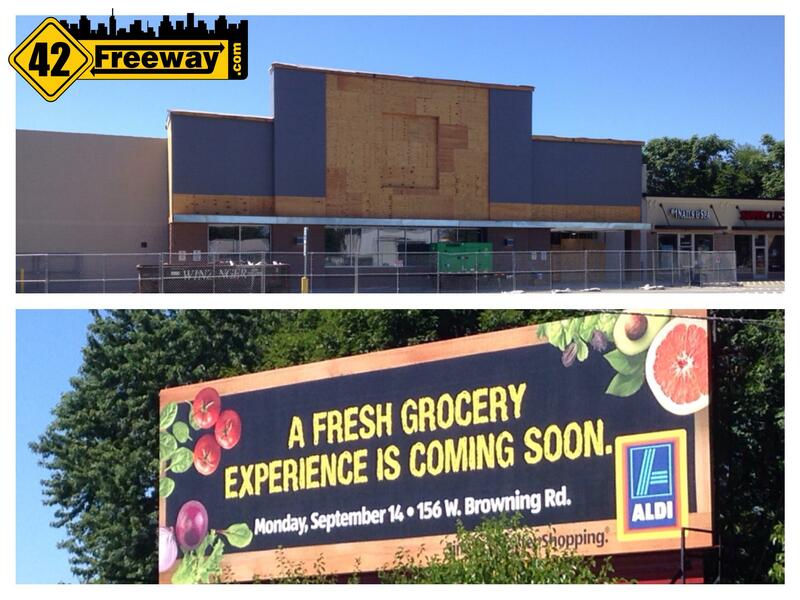 Bellmawr will soon be back in the Supermarket business again, with the opening of the new Aldi store set for less than one month away, on September 14th, 2015! They've put up a billboard on a major highway to make the announcement. What about the rumor about a Chuckle and Pete’s being constructed on the old East Side Mario’s lot? hmm… never heard about that one! they just opened a location in Glassboro. Liquor licenses are at a premium in all of our towns so that is a tough challenge. I feel that Blackwood Clementon Rd needs growth it looks bad with nothing open and closed businesses. Really dont know much about the Royal Farms but business means growth for community with jobs. You would be better off with out Royal Farms. They don’t take care of what they have, especially employees. nothing yet. I’ve heard the Forman Mills rumors from even before Kmart closed. I heard that a Target was going in that spot. Foreman Mills? Because the Deptford Location is too far to drive for crap clothing? Foreman Mills was something rumored long ago for the Super Fresh spot, so forge that. 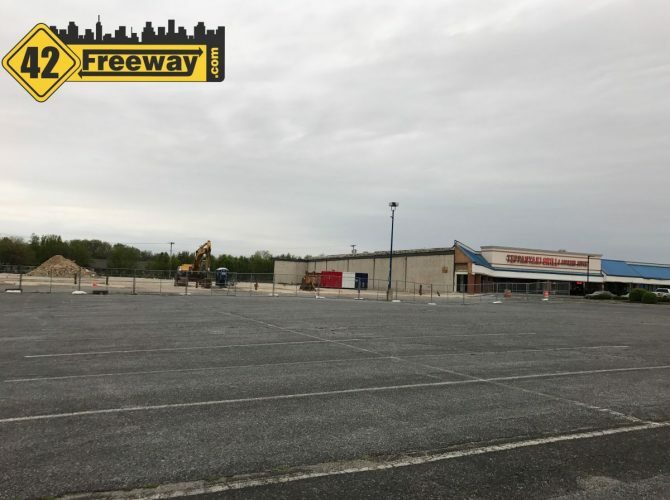 I’m hoping we’ll hear something new re: this potential Gloucester Township Royal Farms sometime soon. I know based on the new article posted today the other 3 RFs in this area are making good progress in their builds and wouldn’t be shocked if this one isn’t built for another year or 2 (if it doesn’t completely fall through) but I still wonder about it. I hope Royal Farms goes there or chickies and Pete’s or something! hmm… isn’t that all cemetery? According to the RF Facebook site the soft opening for this RF is next Monday 2/11/19. I may wait a bit to check it out myself (give them a few weeks to work out the new store kinks and for the weather to be more consistently Spring-like) but for anyone who’s willing to battle the crowds for the free lunch and bragging rights that’s the big day and I’ll be interested in seeing what your thoughts are.